We’re not advised to tell the truth when we’re job-hunting — just the opposite. We’re coached to contort ourselves into pretzel shapes, to be whoever we think the employer wants us to be. We’re encouraged to play a role on a job search, to fawn and grovel and hope the hiring manager falls in love with us. What horrible advice! If you wanted to go into the theatre, you’d be in Hollywood by now. We say that if people don’t get you, they don’t deserve you. Better to let them see who you really are at the earliest opportunity, right? Job-seekers are often surprised that more honesty doesn’t hurt them on a job search. If the people they’re interviewing with have any self-esteem and confidence at all, your human honesty helps you. And if managers are so fearful that they can’t handle a dose of honesty, do you really want to work for them? 1. Follow the defined process. The defined recruiting process is broken. 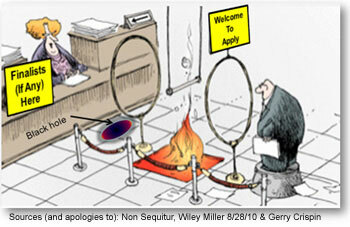 Black Holes are great in space, and horrible on a job search. Many job-seekers have trouble stepping out of the Good Little Rule-Following Job Seeker persona. If they can do that, they’ll be unstoppable! We’ve been trained since childhood to do what we’re told to do. The Black Hole will eat your resume and shred its atoms, but people keep pitching resumes into gaping recruiting portals anyway. Don’t do it! Reach your hiring manager directly. 2. If you know someone in the company, give that person your resume and tell them to give it to the hiring manager. 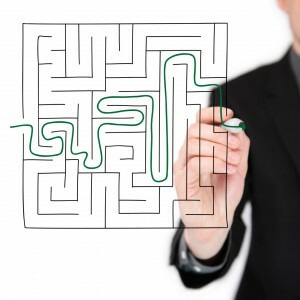 A job search, like any marketing campaign, makes use of channels. Your friend inside the company might be a tremendous channel for your job search, or a horrible one. The question is “How well does your friend know the hiring manager?” If your friend does know him or her, you’re in great shape. Otherwise, your friend carrying your resume in the door is just a side entrance to the same Black Hole you were trying to avoid. Choose the strongest channel for your job search: an intermediary friend, the direct approach, or a third-party recruiter. 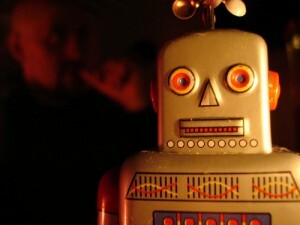 Don’t assume that your in-house friend is your best job-search conduit. 3. Use a traditional zombie-style resume and cover letter. 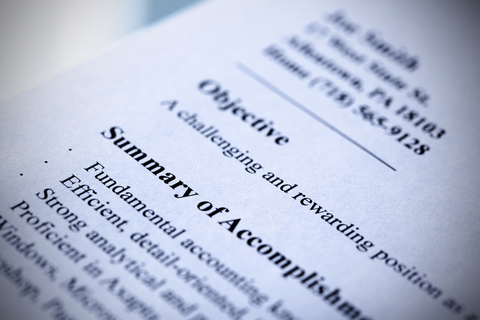 You can write a resume that sounds like you, and you’ll make a stronger impression if you do. Forget the old-fashioned cover letter and write a compelling letter instead. 4. In your overture to employers, emphasize the way your background matches the job spec. You know that a written job spec has as much in common with the actual job as I have in common with Genghis Khan. Forget the tedious and delusional job-spec bullets and focus on the pain behind the job ad. 5. Spend most of your energy applying for posted jobs, and do so online. If you want to destroy your mojo in the first two weeks of your job search, spend all your time online hunting for positions to apply to. Then, toss resumes into Black Holes and pretend that someone is going to get back to you. You’d be better off putting a stack of paper resumes on the passenger seat in your car and driving down the freeway with the window open. In that case, one of your resumes might land on a hiring manager’s desk by chance. If you want a job rather than a boring daytime activity, step away from the Black Hole and take a more active role in your job search. Split your job-search time three ways into three equal parts: one-third of your available time and energy will go to responding to posted job ads, one-third of it will be spent reaching out to target employers whether or not they have jobs posted, and the final one-third of your time and energy will go to networking. 6. Use your networking time and energy letting people know about your job search, your specific skills and how each friend can help you. Your job-search networking is not a hunt for jobs to apply to. It’s a mojo-building, introduction-generating exercise instead. Use your networking to coach your friends on the issues they’re dealing with (nothing grows mojo better than coaching someone else) and to get their moral support in return. When people get unadvertised jobs through networking – and people do that every day – it’s because they focused on the relationship, not the transaction. 7. If you’re asked to report your salary history, share every detail going back as far as the employer asks you to. Are you ready to go work for people who don’t trust you? If the employer asks you to verify every salary you’ve ever earned, the relationship is not off to an auspicious start. Keep your salary history to yourself. 8. When the employer asks you to jump, do it. No employer is ever going to love you more than they do just before they make you a job offer. Don’t be a doormat on your job search. A new job is essentially an extended consulting gig, so manage the process the same way you would if you were proposing a consulting assignment to a new client. Don’t climb over every pile of broken glass they put in front of you. If you show up as the most compliant, docile candidate in the bunch, don’t expect to be able to argue for your strategic value later in the process. 9. Don’t bring up the topic of salary – let the employer bring it up. It is suspicious to me that the awful, conventional wisdom “Don’t mention salary – let the employer bring it up first. Whoever speaks first, loses” fits so nicely with many job-seekers’ natural aversion to broaching sticky topics like money. That advice is repeated everywhere, and it couldn’t be more mistaken. In a job search, you have to price yourself like a house. You have to let employers know what it will take you get you on board. If you wait for the job offer to finally learn what an organization is planning to pay you, you’re in the world’s worst negotiating position. After all, it was your obligation to show (not tell) these folks what you’re worth, during the interview process. If you’ve been through two or three interviews with a gang of people and they subsequently decide collectively — maybe delusionally as well, but that’s a different topic — that you are worth $X, then in their eyes you are worth $X, and you’ve already missed your prime opportunity to show them differently. 10. Do whatever you need to do and say whatever you need to say to get the job. When you agree to play a part to get a job, you’ve made a deal with the devil. 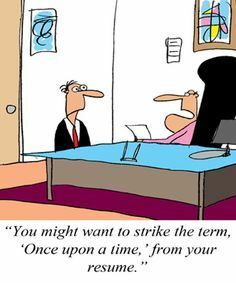 As tempted as you may be to bite your lip when you’re frustrated with a hiring process, don’t do it. If you have to take a survival job to pay the bills, take it! Don’t swap your integrity for a paycheck from people who don’t even see, much less value, the real you. Remember that only the people who get you deserve you. The faster you say “No thanks” to the wrong opportunities, the faster the right ones will roll in. Here’s his story: He retired many years ago but his pension shriveled when the economy tanked and his wife who had been working full time was forced to cut back due to health issues. To help make ends meet, he had to rejoin the workforce. His job hunt cost about $4,000, and he deducted it on his tax return on Schedule A Itemized Deductions as a miscellaneous deduction. Everything looked in order. The primary purpose of the trips was to get a job, and he had receipts to prove the deductions. He also had all the miscellaneous paperwork to substantiate his purpose – resume, business cards and correspondence to and from prospective employers. He was not able to get a new job; employers told him he was too old. But according to the rules, job-search expenses are deductible even if employment is never achieved. So why was he getting audited? You can’t deduct expenses for a job search if you are looking for a job in a new occupation. So if you were a shoe salesman and you just finished your nursing degree and are now applying for nursing positions, you’re on your own with covering expenses. You cannot deduct expenses for a job search if you are looking for a job for the very first time. There cannot be a substantial break between the ending of your last job and your search for a new one. These are the basic categories of expense but the list in not all-inclusive. The IRS allows any expense that is considered “ordinary and necessary,” as well as legal. In other words, bribing a person to hire you is considered an illegal activity, and the deduction will not be allowed. But hiring someone to revamp your resume or a career coach to help you manage your job search will be. Did you know you can engineer your resume to be a powerful marketing tool? While engineering jobs can encompass a wide range of different specialties (mechanical, reservoir, nuclear, electrical, software, etc. ), there are effective resume strategies applicable across disciplines. Here are seven key tips (culled from the minds of recruiters and hiring managers alike) to keep in mind when crafting your engineering resume. 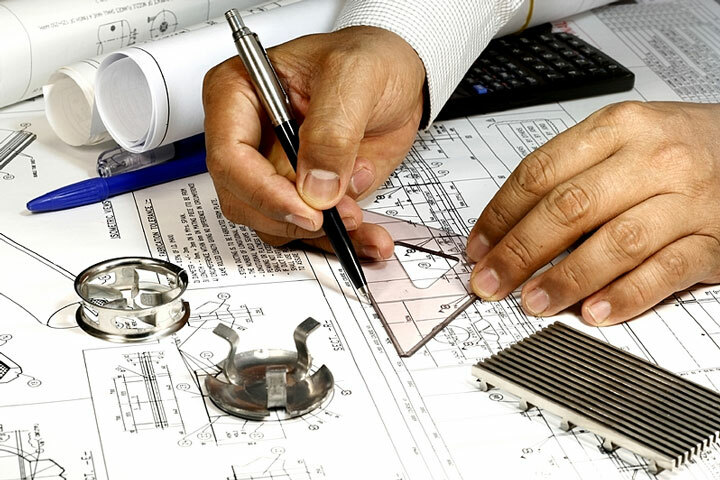 Precision is paramount when it comes to engineering projects, and the same holds true for engineering resumes. Failing to proofread and correct all errors on the resume is a common mistake engineers make. It’s imperative that you have a well-prepared, professional resume with no spelling or grammatical errors. Triple-check it and have other people go over it as well to make sure it’s perfect. There is a tendency among engineers to go into information overload on their resumes. However, resumes often get accepted or rejected in 30 seconds or less, so you must be concise. 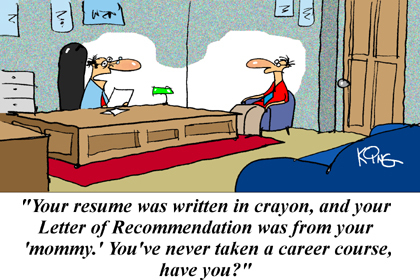 You should create a resume that is crisp and to the point. Scrutinize your resume with an editor’s eye — just because you think the information is relevant doesn’t mean the hiring manager will. Depending on your engineering specialty and years of experience, you may find a dozen or more key projects should be included on your resume. When this causes your document to overflow onto a third page, a separate project list sheet is an effective solution. List projects by employer or client, and give a short — even one-sentence — description of what you did. Most importantly, don’t forget to include your project outcomes. Sometimes inexplicable things happen and an experienced engineer finds themselves on the unemployment list for a while. These employment gaps can result in an employer having a hard time justifying even taking the time to talk with the candidate. This is why these gaps should be filled with learning experiences from do-it-yourself (DIY) projects. Create something and go through the design process of gathering requirements, block diagramming and prototyping and put that experience and maybe even some lessons learned on the resume! This will show the prospective employer that the individual is self-motivated, passionate and a number of other things. The best part is that when they call for an interview, the candidate can bring what was designed and talk about the process, the hardware design, the software etc. It might just give that edge needed to even beat out the competition. Conducted process mapping studies to improve throughput by 36% and ensure compliance with customer specifications. Regarded as one of consulting firm’s most highly requested mechanical engineers, maintaining 89% or higher billable utilization for the past 4 years. Co-developed material for cooling radiators that saved $300K/year. Forcing an employer to read between the lines is a dangerous game. Listing project details is one thing but an employer also wants to know in general the types of skills the candidate has. Having a technical expertise section that lists various items such as hardware, software and programming language and provide a quick overview summary of what an individual brings to the table can be very beneficial. The worst time to update a resume is when an individual is looking for a job. Going for long periods of time without updates usually results in gaps of information or misrepresentation from just forgetting what was done. That is why it is useful to set a periodic time, whether it is every quarter or twice a year, to sit down and update the resume with new projects, skills, etc. Sometimes employers will include employee resumes in proposals in order to show a potential client that their team has the skills necessary to get the job done. If a resume isn’t kept up to date then the team could quickly look like they are not up-to-date with the latest and greatest techniques and cause the employer to lose business. People are always looking for innovative job search strategies to set themselves apart from the competition. But it’s important to have the basics down, the most essential elements your job search will need to include if you want to succeed as quickly as possible. Be Prepared. Have a voice mail system in place and sign-up for a professional sounding email address. Consider getting a separate email account to use for your job search, so you can stay organized. Put your cell phone number on your resume so you can follow up in a timely manner. Be More Than Prepared. Always have an up-to-date resume ready to send – even if you are not currently looking for work. You never know when an opportunity that is too good to pass up might come along. If you’re not on LinkedIn yet, create a LinkedIn Profile and start making connections who can help you job search. Time Savers. Strapped for time? Consider getting professional help writing or editing your resume. Get Social. Social networking sites like Facebook and Twitter can be a good way to get job listings before they are listed elsewhere. Plus, you can promote your candidacy using the social media tools that are readily available for free for job seekers and companies are increasingly using social media for recruiting. Look for hidden vacancies. Instead of advertising their available jobs, employers often look to fill vacancies by word-of-mouth, headhunting or simply by recruiting internally. Knowing how to get yourself in contention for these roles could give you a major boost when it comes to finding your next role. Get employers to come to you. Getting headhunted is no longer the preserve of employees in senior management. When you post your resume online, you are immediately putting your details within reach of thousands of employees may save you the trouble of searching through job adverts. Target the right companies. Do you want to be a big fish in a small pond or would you rather have the safety of a large organization with job security and a clear career path? Knowing what you want allows you to narrow down your search and spend more time on applying for the roles you really want. Build a network. Networking is getting to know people who can help you develop your career prospects. You don’t need to be a big shot or the most outgoing person in the world to network effectively, just keep your ears open and listen for information that could work to your advantage. Don’t Stop. Don’t limit your job searching to the top sites like Monster or CareerBuilder. Check the smaller niche sites that focus on a particular geographic location or career field and you will find plenty of job listings. Networking works, too. Tap into your network of contacts to see who might be able to help you with job leads or a referral. Keep your spirits up. As time passes, the rejections mount up and the budgets get tighter, it’s easy to become disheartened. However, this is exactly the time when you need to dust yourself off and put in more hard work than ever. One of the main attributes of a successful job seeker is persistence. Finding a new job can almost be a job unto itself. But if you persevere and remain confident, you’ll have a new job in no time. There can be any number of possible reasons for a person to be unemployed for a period of time. No matter the causes of an employment gap, it is often and unfortunately the first thing an HR clerk, recruiter, or hiring manager will notice on a resume, usually to your detriment. However, unless the time was spent engaged in something totally unproductive, these gaps, if presented properly, can not only be downplayed and their harm minimized, but they may even prove to be helpful in securing a new job. Unemployment is not something people frequently plan ahead for or desire. In light of the recent economic downturn in the US, many job seekers have been unable to find work for extended periods of time. In these situations, it is important that you stay busy and engage in activities relevant to your field or which provide transferable skills. Even if it is volunteer work or online courses, you will want to mention it on your resume in order to ensure employers that you have been fruitful even when unemployed. 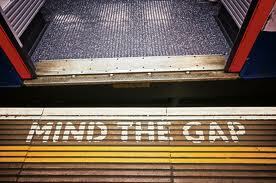 In the end, it all comes down to how the employment gap is presented on your resume. If it was for a short period of time (a few months), you might only mention the years when stating the duration for each job. For example, you would write 2005-2007 and 2007-2008 rather than May 2005 – January 2007 and November 2007 – August 2008, since the latter clearly reveals a gap. If the gap is longer and cannot be concealed in this fashion, you should do your best to present your activities during this time as relevant to your job objective. A travel agent, for example, might mention vacation destinations and someone looking for work in the health care industry might mention providing primary home care for a terminally ill relative. Include internships, training, family projects, and any other relevant items. An employment gap is not something to be ashamed of, especially when there are legitimate reasons. So be sure to treat your time away from the work force confidently on your resume and when you are unemployed, be sure to use your time wisely and productively to improve your skills, knowledge, and real-life experience. The days of writing a career objective are long over. The objective was traditionally reserved for recent graduates or professionals changing fields or industries to indicate to hiring managers the kind of position they wanted, as this might not be immediately apparent from their resume since it would either have little experience or unrelated experience. It soon became fashionable for everyone to write a career objective at the beginning of their resume. However, most recruiters rightly point out that hiring managers don’t want to know what a job seeker wants from an employer but what the job seeker can offer to the employer. It is now standard procedure to include a brief summary rather than an objective. The summary is designed to provide the employer a quick snapshot of what you have done and for how long, outlining your strengths, skills, and expertise (especially intangibles). – Mention your industry, your work experience in years, and the kinds of companies you have worked for. e.g., Financial Services, 20 years, private and public sector, Fortune 500, etc. – Include important functional and vertical skills or expertise you demonstrate. e.g., back office, service delivery, music composition, lyricist, accounting, software specialist, etc. It is also important to include keywords from the description of the job that you are applying for. Otherwise, while the human element (HR) might be willing to give you the benefit of the doubt, that you have some possible relevance to the job, the Application Tracking Software surely won’t and you’ll be filtered out before they even see your resume. – An executive summary should not attempt to confuse or deceive the reader. It must be honest and consistent with the rest of the resume. Be concise and avoid generalizations. Think of it as a quick road map to what the hiring manager will be reading further below. – The summary should be just that: a summary. It should summarize the details and the breadth of your career and resume. And it should be able to convey your background in less than 20 seconds. Problems occasionally arise, however, when a professional is attempting to move into an adjacent profession, such as when a musician wants to be a lyricist or a teacher is applying for math tutoring near me or applying for role as a personal trainer. The goal then is to make the employer understand that you have transferable skills that are applicable to the role for which you are applying, even though you don’t have any or much direct experience. The summary can be an excellent place to accomplish this, as it will explain the situation immediately to the hiring manager and provide the lenses through which the hiring manager should read the rest of your resume.